Near Eastern Archaeology, September 2017, "The Archaeological Renaissance in the Kurdistan Region of Iraq" by Jason Ur (Harvard University). After an absence of over two decades, foreign archaeology has returned in earnest to one of the “cradles of civilization” in the Kurdistan Region of Iraq. Two wars, international sanctions, and internal unrest had together brought archaeological research nearly to a standstill; only a few under-funded Iraqi teams and a handful of intrepid Europeans attempted fieldwork following the first Gulf War of 1991. Following a decline in political violence that began in 2008, archaeologists have returned to the Republic of Iraq. The resumption of fieldwork in the southern “heartland of cities” has been significant but slow, and hampered by internal politics. In the autonomous Kurdistan Region, however, foreign research has expanded rapidly and continuously, in partnership with local archaeologists and institutes. This essay reviews these new developments, discusses how the new discoveries are challenging long-held ideas and filling blank spaces on the archaeological map, and suggests some new directions for the future of Mesopotamian studies. Born in Detroit, Michigan on July 29, 1907, Robert J. Braidwood was educated at the University of Michigan and the University of Chicago where he studied architecture, ancient history and anthropology. He is an anthropologist, archaeologist and is a leader in the field of Near Eastern Prehistory; he is acclaimed for his investigations into the origins and early consequences of a food producing way of life. His research consisted of assembling problem-oriented interdisciplinary teams involving the natural sciences. In 1933, he earned his M.A. degree at the University of Michigan and joined the University of Chicago Oriental Institute's Syrian Hittite Expedition on the Amuq Plain, where he worked until 1938. In 1937, he married Linda and returned to Chicago in 1938 to pursue graduate degrees. In 1943, he earned his Ph.D. and began teaching for the Oriental Institute and the Anthropology Department at the University of Chicago, where he remained until his retirement. Braidwood's scholarly concern with food production developed in his early teaching career and he did research on the shift from a hunting and gathering society to village society. 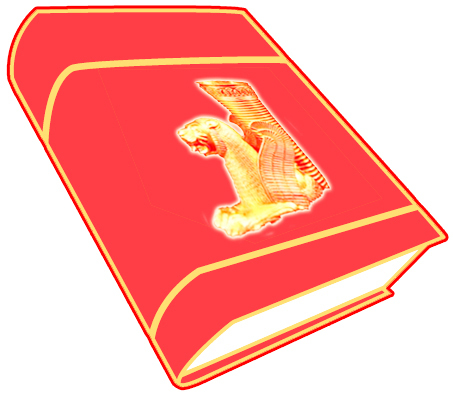 By drawing upon the writings of H.J. Peake and H.J. Fleure as well as V. Gordon Childe, he set out to fill the gap they had created. In 1947, the Oriental Institute's Jarmo Project in Iraq was launched. It was the first field project dealing specifically with retrieving evidence of the methods of early food production and solving the ecological problem of its origin and early consequences. On this project he employed archaeologists as well as natural scientists who reconstructed the ancient environment. The project was a challenge for Braidwood. ; He began by using Childe's "Oasis Theory." Then, based on the archaeological and paleo environmental evidence they gathered, he formulated his; "Nuclear" or "Natural Habitat Zone Theory." 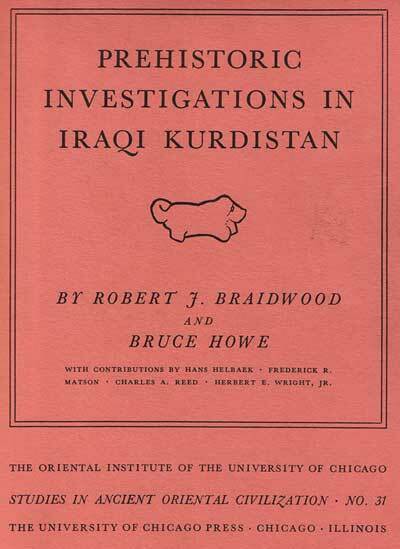 This theory was outlined in the book Prehistoric Investigations in Iraqi Kurdistan. In 1950, his political problem in Iran had come to an end even though the project had been moved to Iranian Zagros. From this site it was discovered that occupation of the area dates back to the end of the Pleistocene which inspired natural scientists to investigate climatic and vegetational history. In the early 1960s, the University of Istanbul-University of Chicago's joint effort was co-directed by Braidwood and Professor Halet Cambel. From 1963 to 1988, there was a lot of productive fieldwork in southeastern Turkey which reaffirmed the value of team effort. Information on early village farming life and the development of food production was gathered through the excavation of Cayonu Tepesi which also addressed the origins of metallurgy and architecture. Braidwood was active in several professional societies and received numerous honorary degrees. In 1971, he was awarded the title of Distinguished Lecturer at the Annual Meeting of the American Anthropological Association. Braidwood lectured and published many books and articles that have brought anthropology and prehistory to the attention not only of historians of the ancient Near East but also to the public. For more information please visit the University of Chicago, Oriental Institute. Winter, Christopher, International Dictionary of Anthropologists. Garland Publishing, New York & London, 1991. Dupuis, Diane L. . Gale Research Company, Detroit, Michigan 48226, Vol. 108.